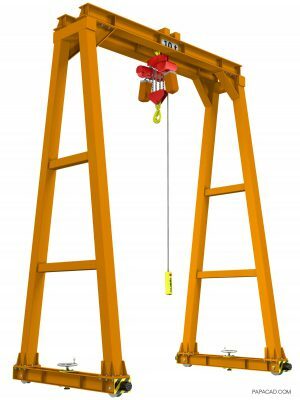 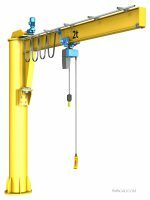 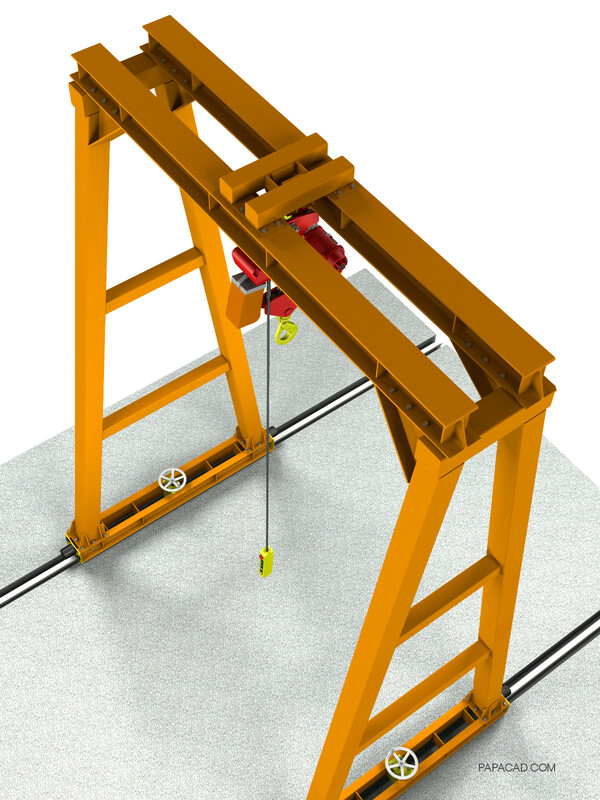 Heavy gantry crane designed for transport heavy weights. Placed on train rails. 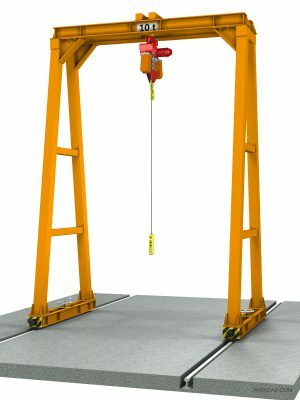 Electrical chain hoist YSS-1000 , manual moving. 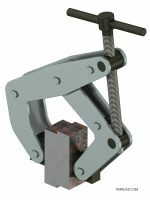 Steel welded frame. 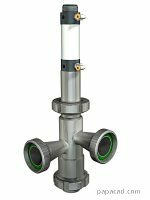 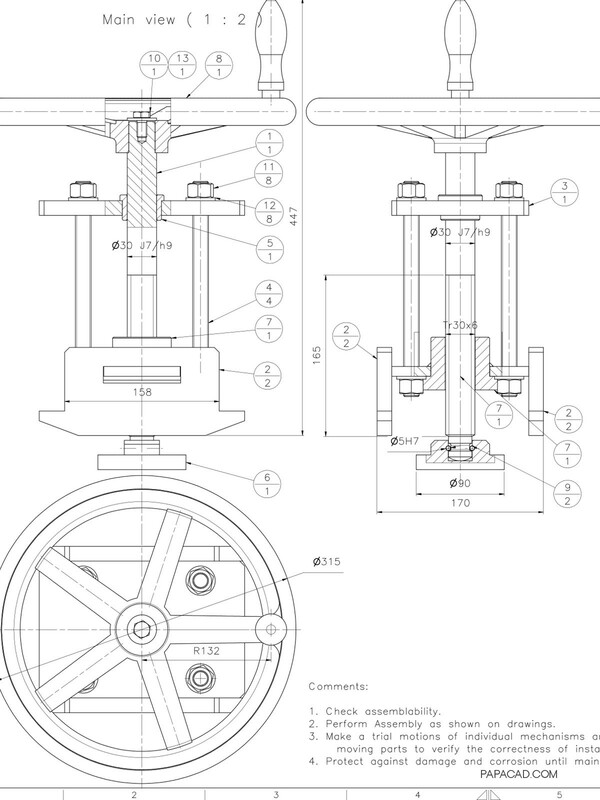 YSS-1000 electrical chain hoist 15[t] from Cheng Day Ltd.
Gantry crane design was created by papacad.com in Autodesk Inventor ,version 2014. 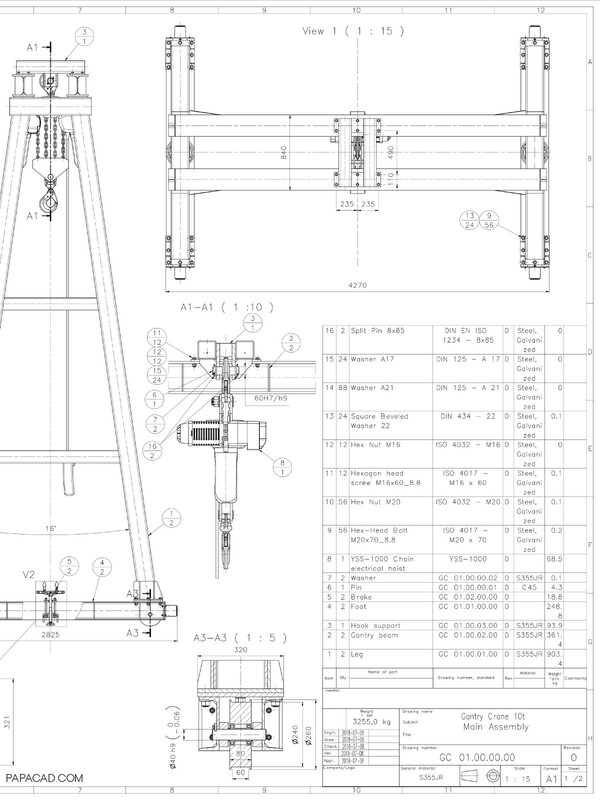 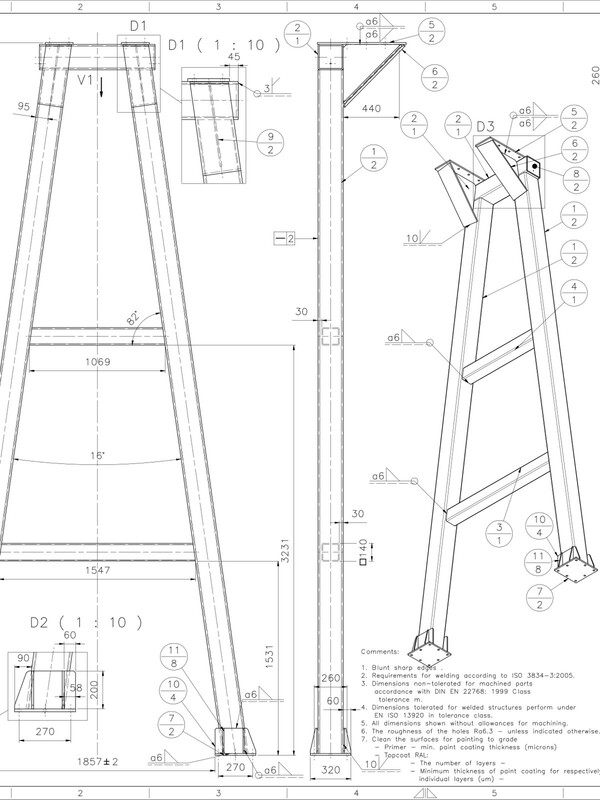 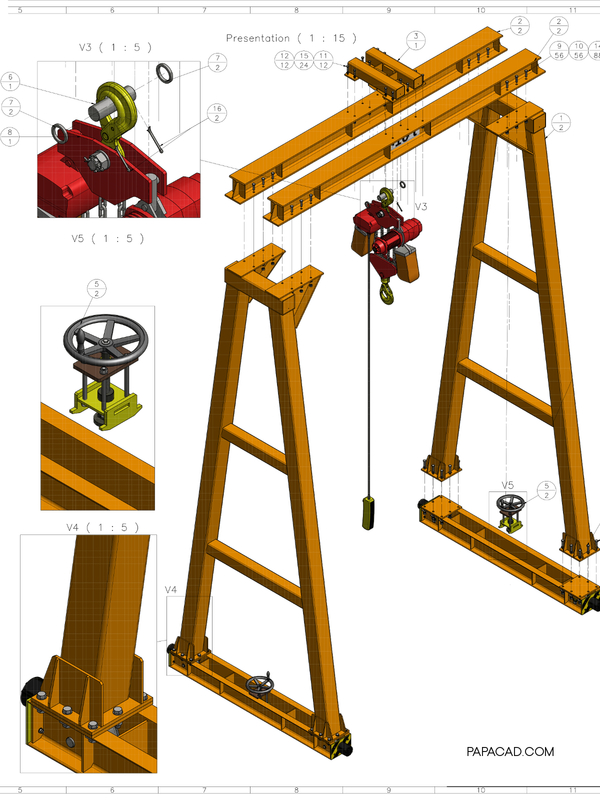 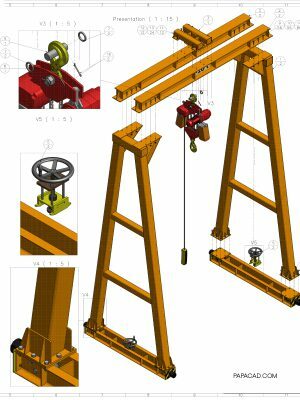 With this CAD technical docmentation everyone can DIY gantry crane, calculated on 10 tons. 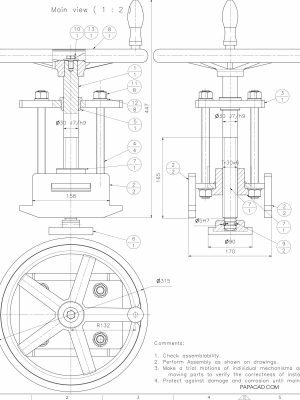 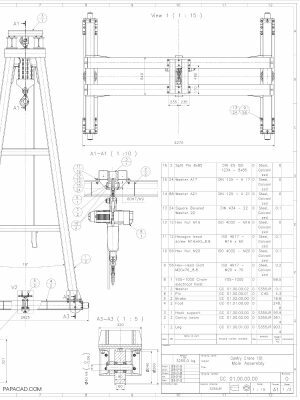 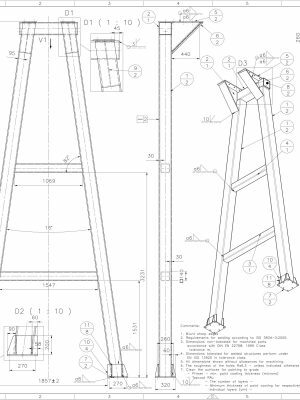 Gantry crane DWG drawings documentation is fully complemented by technological guidelines for machining and welding of steel structures. 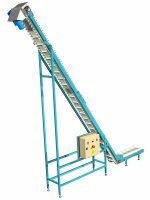 For smaller loads, we designed a workshop gantry for 500 kg with manual chain winch.